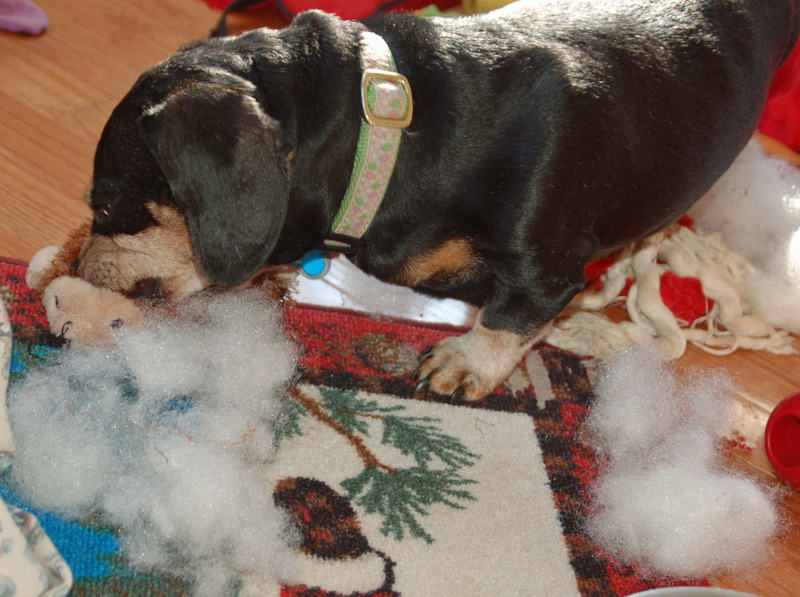 Windy enjoys destroying her hedgehog Christmas morning. The furkids made out like bandits this Christmas. Friends from Florida sent them a giant Pez container with dog treats. Friends from Tennessee sent them toys and bandanas. Another friend brought toys and treats. We bought toys, cow ears and tennis balls for them. Before next Christmas, I’m going to start barking. This entry was posted in Dachshunds, Dog Accessories, Dog Toys, Schnauzers and tagged Christmas, Dachshunds, dog toys, dog treats, Schnauzers. Bookmark the permalink.